Maximize fresh air indoors, but introduce a bug-proof barrier. We advise using fine mesh screens in all open windows and doors. This allows cross-breezes to enter your house, but the screens’ openings are too small for mosquitoes to permeate. Consider screening in your porch as well. If you’ve got screens already, check the seals around the edges and use a patching kit to repair any tears. Mosquitoes reproduce in water, and they can do it in even the small amount of water that would fit in a bottle cap. That means it’s imperative to empty outdoor water toys and remove wheelbarrows or other outdoor gear that can catch water after a rainfall. Keep your gutters and drain lines clear of debris—clogged leaves and branches can cause water to pool. In a mere four days, eggs laid in water mature into nypmths. So if it rains on a Monday, don’t wait until the weekend to get rid of standing water. By then, it’ll be too late. Using a fan makes it harder for mosquitoes to fly against the air current, it also helps disperse carbon dioxide emitted by humans. That secondary benefit’s a good one, since mosquitoes detect the compound in the air we exhale, which guides them when they’re looking to feed. To guard against bites, wear long sleeves, use an effective insect repellent and avoid going outside at prime feeding times—dawn and dusk. 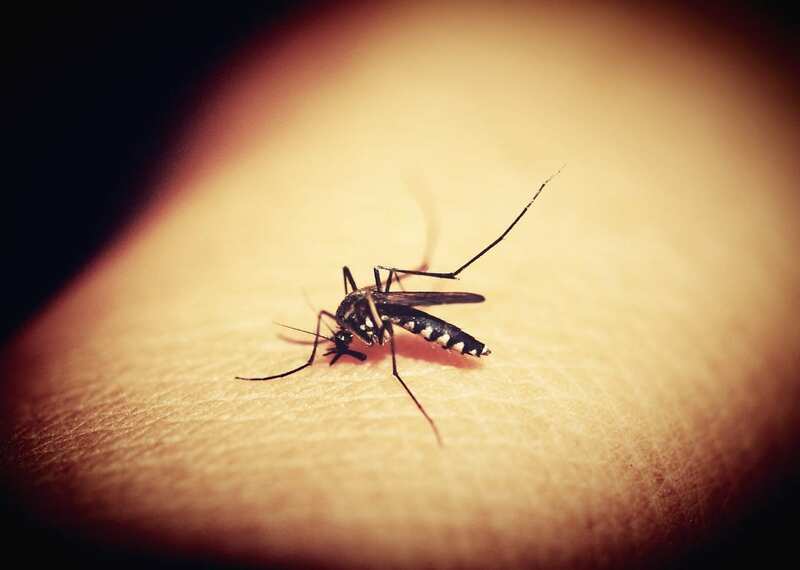 These safeguards can minimize your exposure, cutting your risk of mosquito-transmitted illness so you can enjoy the outdoors with more peace of mind. Find a reputable local pest control professional that you TRUST and have them do the work for you. Check them out on the BBB and read their reviews on Google to see what kinds of experiences other people have had with them. You may think you are saving money however, a single misapplication could have significant and adverse or deadly consequences for you or your loved ones.